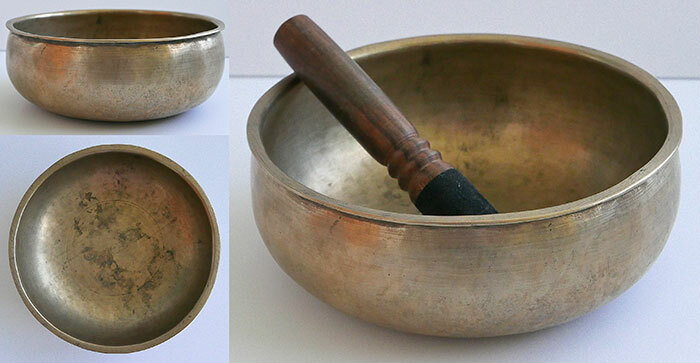 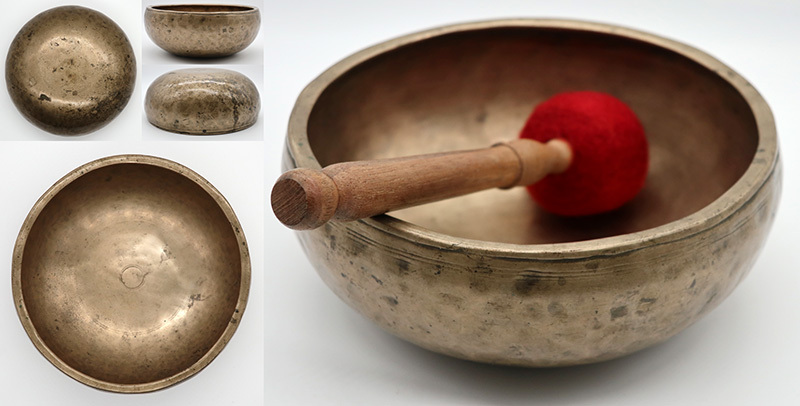 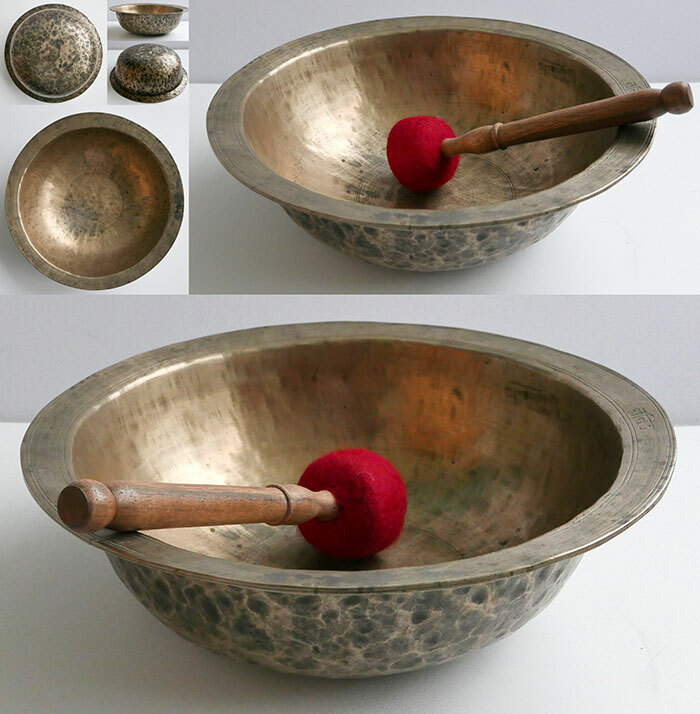 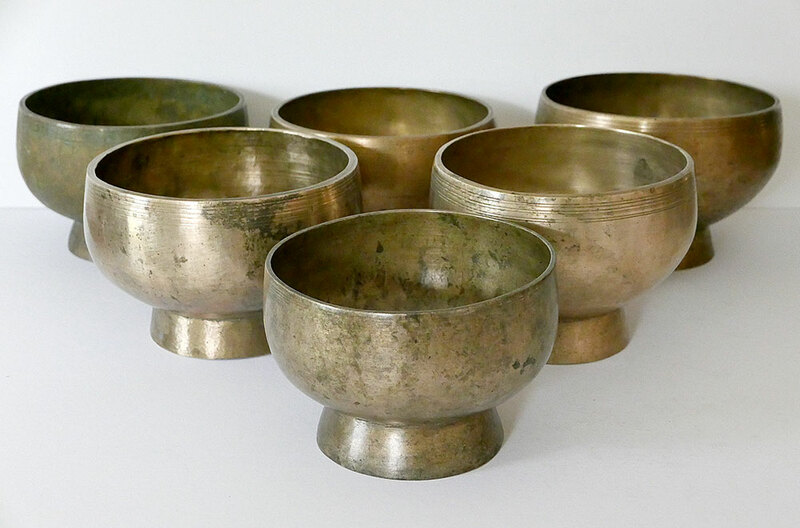 Only a small percentage of antique singing bowls carry inscriptions. 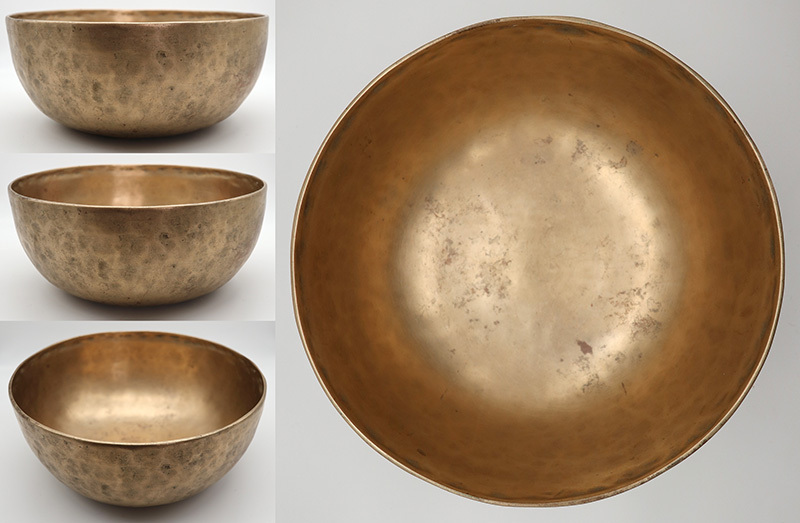 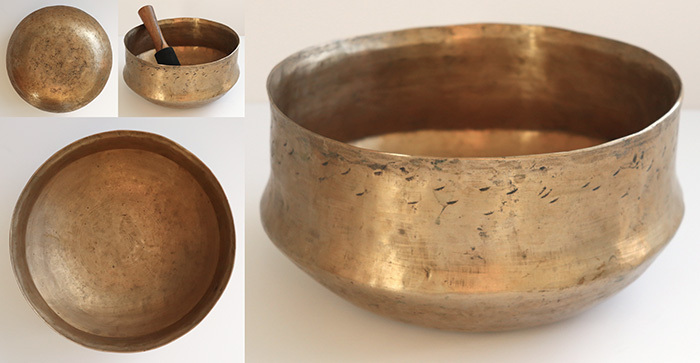 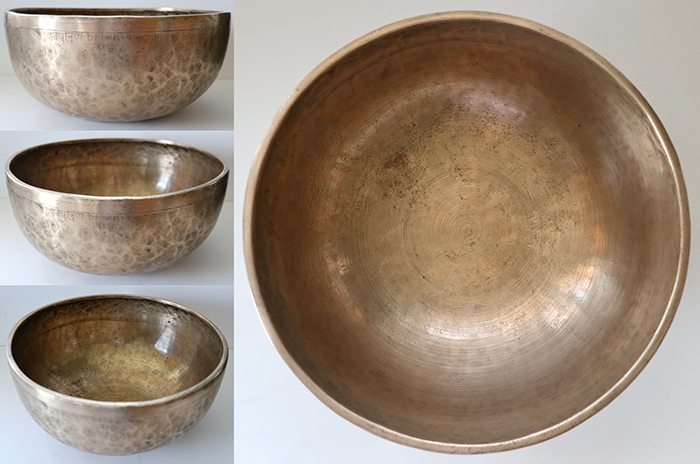 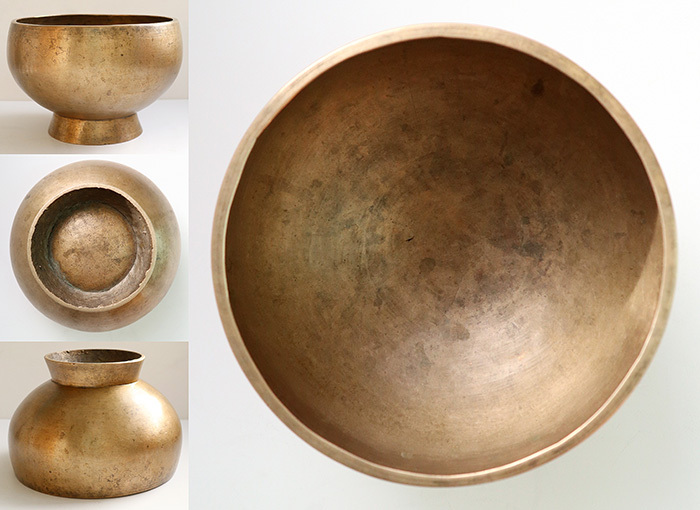 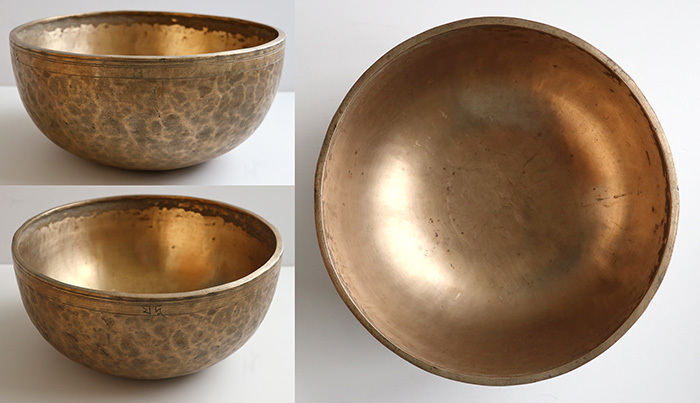 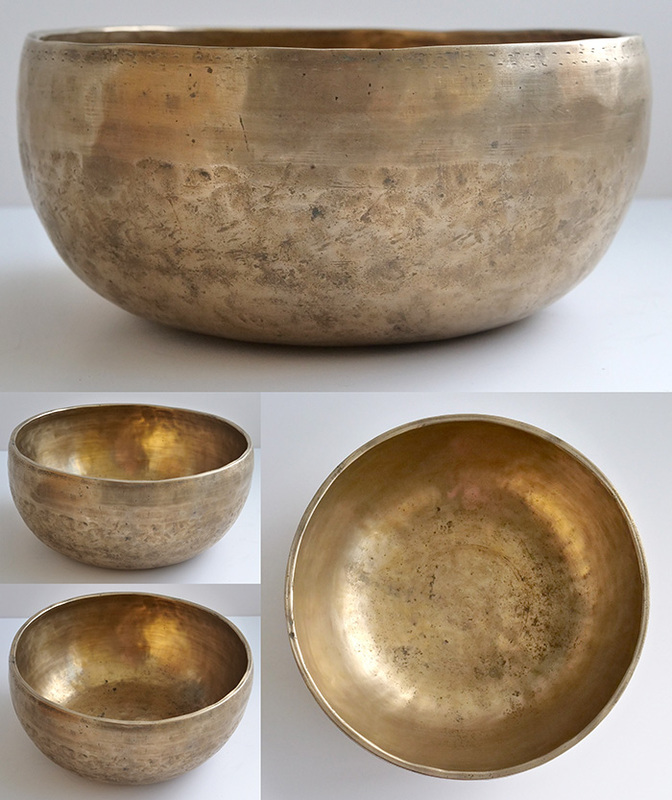 They are found on all bowl types but are more commonly seen on Thadobati, Manipuri, Jambati and Naga or Chalice bowls. 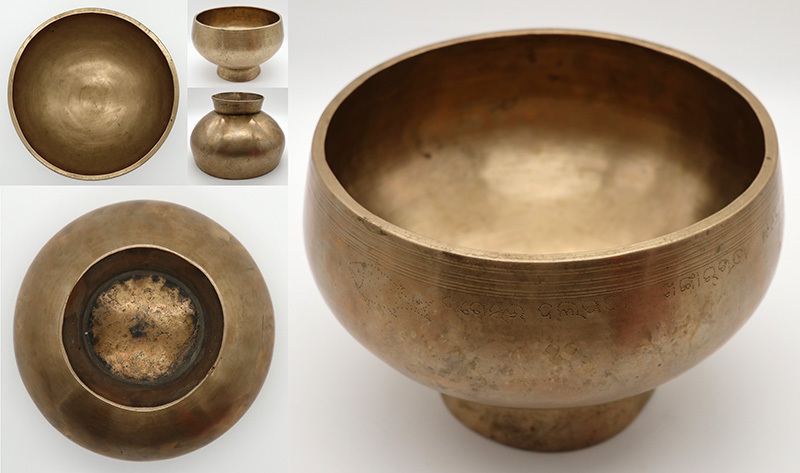 Inscribed bowls tend to be superior quality and in a better state of preservation than average, probably because of their ceremonial status and the high esteem in which a former keeper held them.